Widely planted and naturalized in its native tropical America and in many other warm regions of the world, this tender evergreen shrub or small tree is prized for its delicious yellow-skinned, pink- or yellow-fleshed fruits, which are wonderful fresh and in preserves and juices. Ripening from fall into winter, the fragrant, round to pear-shaped, apple-sized, seedy fruits are preceded in early summer by mildly fragrant white flowers that have a boss of central stamens. 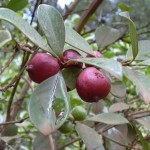 Plants are self-fruitful, requiring no companion plants for fruit set. Attractive ribbed elliptic leaves are copper-tinged upon emergence. The flaking copper-colored bark adds further all-season interest. 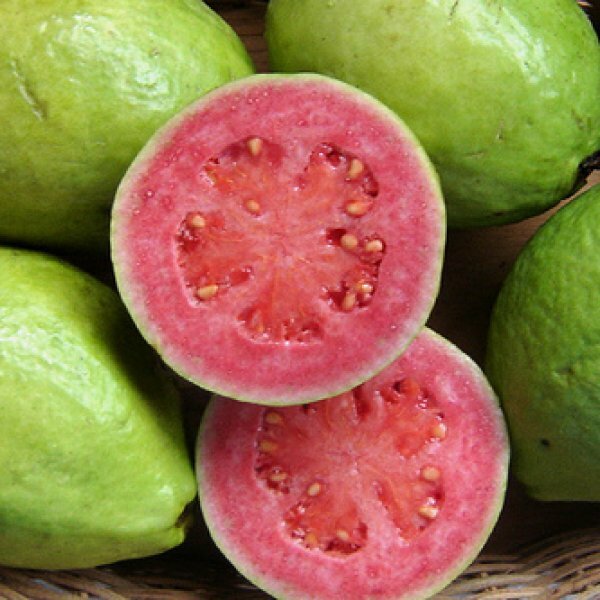 The guava seems indiscriminate as to soil, doing equally well on heavy clay, marl, light sand, gravel bars near streams, or on limestone; and tolerating a pH range from 4.5 to 9.4. It is somewhat salt-resistant. Good drainage is recommended but guavas are seen growing spontaneously on land with a high water table–too wet for most other fruit trees. 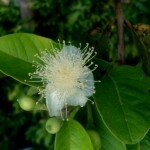 Germination While germinating guava seeds you should keep seeds indoors in moist soil. 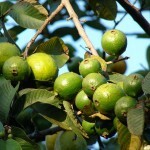 Plant seeds between 1 - 1 ½ cm deep in soil, and water well. This variety is very easy to grow, and will normally take approximately 2 weeks to germinate.